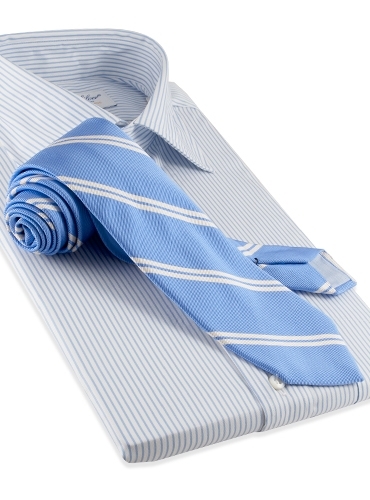 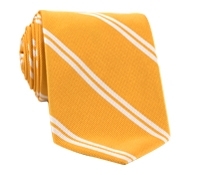 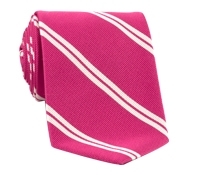 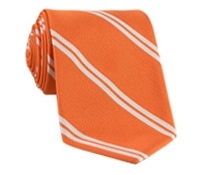 The classic double striped necktie is always elegant, but especially so this season with double white stripes against vibrant and cheerful hues. 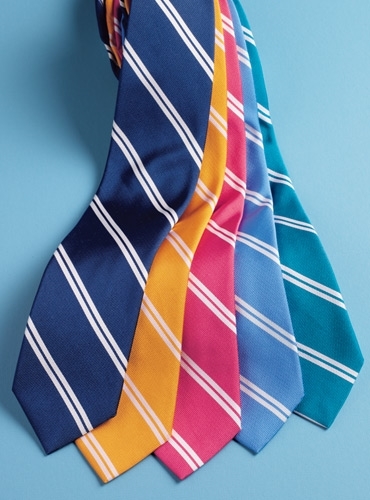 Mogador ties: A-navy; C-sun; F-strawberry; G-sky; I-teal. 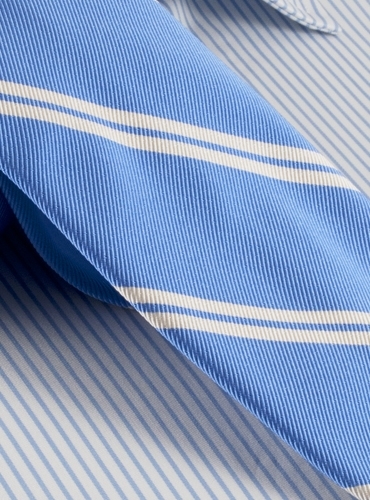 Shown here in: G-sky.